Eelyn: First thing I noticed about this name was that it sounded so similar to "Aelin" to me, from Sarah J. Maas's Throne of Glass. 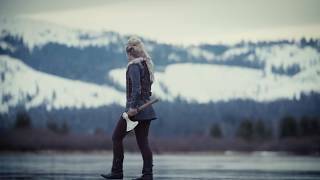 I was worried that Eelyn would be too similar to this character from the other series, but thankfully, she stood completely on her own and was kickass at the same time. What I really loved about her character though was that she was so fierce and at the same time so strongly loyal to her family and her convictions. She may be one of my favorite protagonists of all time because of this strength and confidence without being annoying or overly arrogant. Fiske: I really appreciate how the first time they meet each other they are fighting literally to the death and Fiske just barely refrains from killing her. But looking at Fiske alone, he was really interesting to read about because the effects of his role in the house was not as obvious but it was still there. I feel like his character had a lot of moments like this: indirect characterization based on the words of others or a small look or action used in conjunction with them. Again, the familial loyalty in this character was really great to see. Aska and the Riki: I'm putting the tribes as a character because they conflict that they have with each other is not just the premise of the novel but it is also a major conflict for it. It was so great to see this Viking rivalry though and learn about how these different tribes lived, yet were also so similar to each other. The only thing that was slightly cringe-worthy about this though was that it reminded me of the Montagues and the Capulets from Romeo and Juliette. The plot was slightly disappointing in the sense that I feel like it all happens very suddenly at the end of the book. There is a lot of build up to the moment where the tribes need to go to battle, but there wasn't much of the actual fighting or resolution afterwards. For the amount of page time that the reader gets from the development of the characters and growth of understanding between the two main tribes, I would've like to have seen more time spent afterwards as well with the joining of the two tribes to tackle the common enemy tribe. That being said, I loved the different details that were thrown in about how the warriors fought and dressed for battle. Everything from the way the moved with each other and how they prayed and buried the dead was fascinating. All of those details were beautifully interwoven throughout the entirety of the story. The plot line that I think was handled perfectly was the romantic interest between Fiske and Eelyn. What I loved about this relationship was that it was not automatic and the characters really took their time to learn about each other and get past seeing each other as "an enemy". They took the time to really get to know each other and even at the end, they realistically have a conversation about what their future could look like, which added a nice element of a kind of maturity that typically isn't present in other young adult novels. From what I remember, nothing really stood out to me as overly remarkable about Young's writing other than it was so smooth. I flew through this story, partially because it was a really good story, and partially because one sentence led you directly into the next. 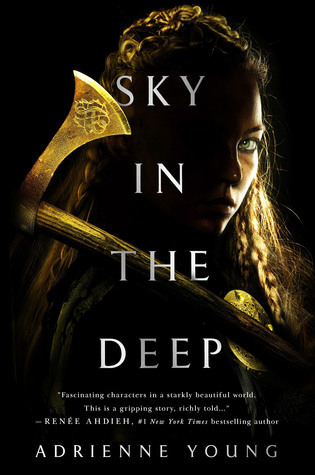 I also really loved that so many different details were added about the Viking culture (that I'm assuming are correct), which means that the author worked around the culture to create her story. I appreciate this because then you can learn more about this culture as you read as well. The only drawback about this book is that there is only one and I WANT MORE!!!! I actually don't think this story would benefit in any way from an additional book, but the characters and story were compelling enough were I want to hear more about this world and their lives. 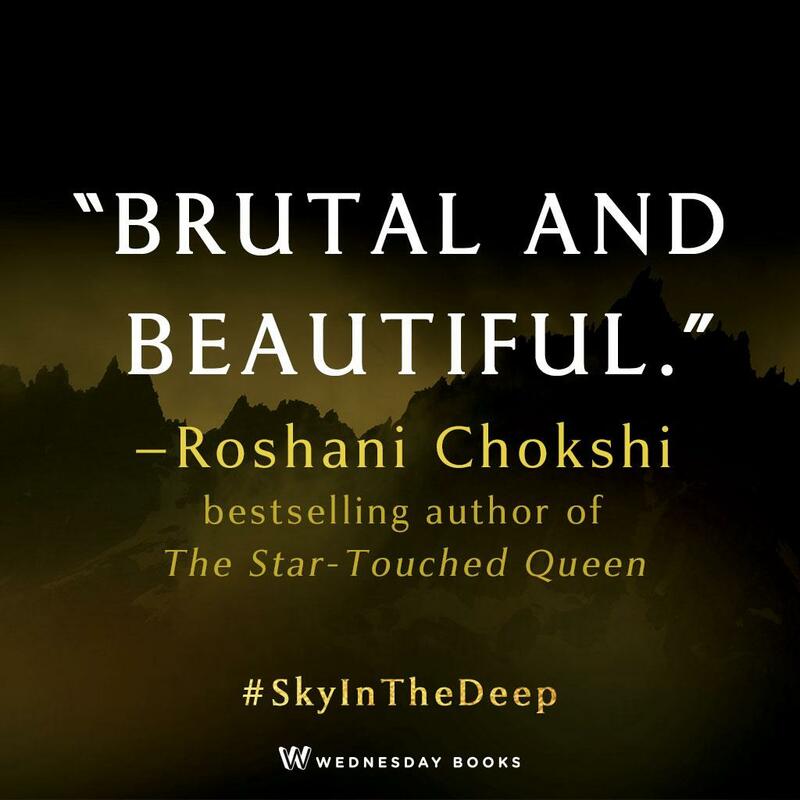 Sky in the Deep was a lovely break from the usual stories that are released and from the business of the end of the school year. It was captivating and engaging and I recommend this to anyone who is looking for a standalone novel that is not just contemporary romance.